As an exciting extension to the Magykal universe created by Angie Sage in the famous Septimus Heap sesries, Todhunter Moon, who was a secondary character back then, takes the spotlight in a new series of his own. So don't worry if you still have some Septimus Heap pangs, because this spin-off series is definitely for you. And just so you know, the title has been revealed as TodHunter Moon: PathFinder, and is marketed over Amazon as Septimus Heap: TodHunter Moon, Book One: PathFinder. And you can see below the final cover of the first book in the series. Another good thing to be excited with is that illustrator Mark Zug, who did all the illustrations in the Septimus Heap series, is back. Check out the cover of TodHunter Moon: PathFinder by Angie Sage. 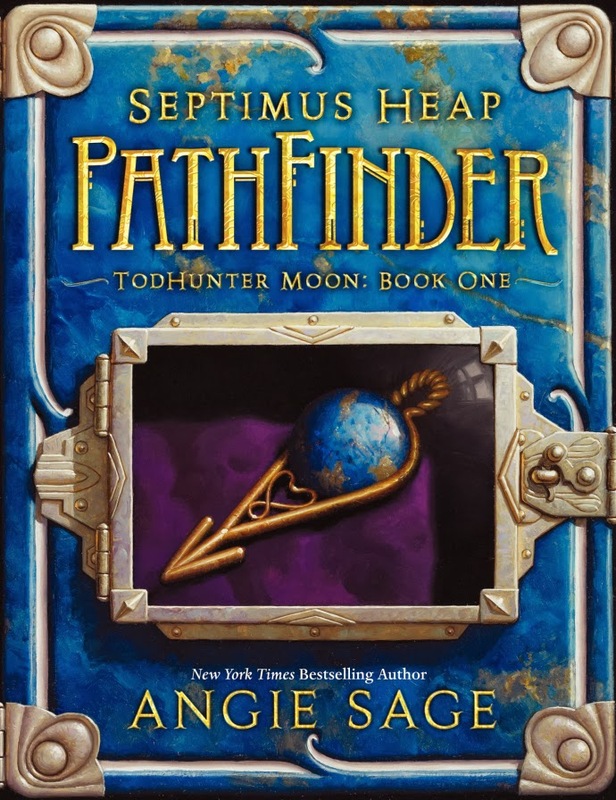 TodHunter Moon: PathFinder by Angie Sage will hit bookstores on October 14, 2014 under Katherine Tegen Books.